Off-market share transfers for SMSFs remain legitimate transactions, and will continue to remain legitimate indefinitely, according to a recent announcement by the Coalition government. On 14 December 2013, Assistant Treasurer, Arthur Sinodinos announced the outcome of consultations over the backlog of 92 announced but unlegislated tax and superannuation measures. One of the unlegislated measures not proceeding is the proposed ban on off-market share transfers for SMSFs. parliamentary website. There was no official announcement about the deferral from the previous ALP government, from its original start date of 1 July 2012 and then the later start date of 1 July 2013. Information regarding planned commencement dates for Stronger Super measures (including SMSF changes) is available on the Stronger Super website. When you visit the SMSF page of the website you will discover a table with lots of text and dates, and the fourth item (8.13) still reports a start date of 1 July 2013, for the potential ban on SMSF off-market share transfers. This out-of-date information remained on the site under the previous ALP government, and remains under the new Coalition government. If an individual makes a contribution to a super fund in the form of an asset, this type of contribution is known as an in-specie contribution. The opportunity to make an in-specie contribution is generally only available via self-managed super funds (provided a fund’s trust deed permits such contributions). Most large super funds don’t allow such contributions from members. Generally, a super fund cannot buy or use an asset that a member owns, which also would normally cover any in-specie contributions. One of the main exceptions to the restriction on purchasing assets from members relates to acquiring a listed security at market value from a member. A listed security is any security listed for quotation in the official list of an ‘approved stock exchange’ or licensed market. The tax legislation provides a list of approved stock exchanges, which includes the main Australian exchanges and many international exchanges. Shares that are held in an individual’s name can be transferred into the name of the individuals ‘as SMSF fund trustees’. This type of transaction is called an off-market transfer. Whether you need to use your broker depends on whether the shares you hold are held centrally through the CHESS sub-register or directly via the company’s register. If the shares are held on the company’s register this is known as an issuer-sponsored holding and you will be able to use the Australian Standard Transfer Form. You can obtain a copy of this form from the ASX website (www.asx.com.au) or from your fund’s administrator (if you have one). If your shareholdings are CHESS-sponsored then you will need to go through your broker. Such a change in share ownership is simply completing some paperwork rather than selling the shares on the open market, so you’d hope an individual will only pay an administration fee (if any) rather than brokerage. If your holding is CHESS-sponsored and you are using a full service broker, I would hope that a broker does not charge typical ‘brokerage’ on such a transaction. Check with your broker to ensure that you are merely charged a transfer fee (or no fee at all) before proceeding. Tip: One strategy to avoid broker charges (administration or brokerage) on an off-market share transfer, is that the owner of the shares can request that the broker remove the shareholding from broker (CHESS) sponsorship and revert the shareholding to issuer sponsorship. The investor or fund can then do an off-market transfer using the standard form. This step however does lengthen the transfer process. Important: Talk to your accountant and/or SMSF adviser if you are considering any off-market share transfers. Such transactions have tax implications, such as potential capital gains or capital losses in an individual’s name and the opportunities if any, to offset capital gains, such as making concessional contributions or other tax-effective strategies. What would the proposed ban mean, if it had ever became law? 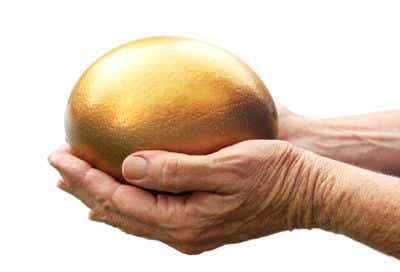 If the off-market share transfer ban was in place, then be mindful that if any SMSF trusteewas considering transferring personally held Australian shares into their self-managed super fund, then the ban would effectively preclude such a transaction. If the proposed rules had ever become law, where SMSFs sell or buy assets from a related party (typically a SMSF member/trustee), the sale/buy process would need to take place through an underlying market. Further, for asset transfers of allowable assets where an underlying market doesn’t exist, the sale/purchase price must be made at a price determined by a qualified independent valuer. Currently shares and other listed securities can be transferred to a SMSF, and from a SMSF, without using a broker, and simply by filling in a standard form. If the ban had been put into place at some later date, these types of share transfers would need to be done via a broker, and SMSFs may have even be forced to sell the shares on the open market. For the record, here’s my view on the proposed ban: I didn’t agree with this change to the rules because it had not been made clear whether the individual would be forced to sell the assets on the open market, which effectively bans off-market share transfers, or whether the transfer of the shares between individual and SMSF needed to be facilitated by a broker (price and timing is potentially determined by broker) but the shares would not be transferred on the open market. A raft of changes affecting SMSFs took effect from 1 July 2013. For more information on these SMSF-related changes see SuperGuide article Changes to SMSF rules, from July 2014 or earlier (updated).